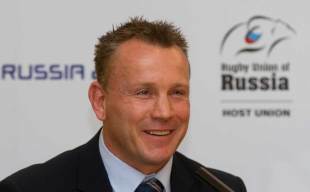 London Welsh have continued their preparations for life in the Aviva Premiership by agreeing a short-term deal with Kingsley Jones, the former Sale head coach and current boss of the Russian national team. Jones has inked an initial deal as Lyn Jones' assistant through until the end of October, with Russia set to play Canada and the USA in November, the Rugby Paper has confirmed. Jones will be joined at the Exiles by London Irish prop Paulica Ion, signed on a season-long loan, and former Castres lock Kirill Kulemin. Pacy Kiwi scrum-half Tyson Keats could also soon bolster their ranks after leaving defunct Italian side Aironi, while Wales international Gavin Henson and former Worcester wing Tom Arscott are already on board. "Kingsley will bring a huge amount of experience," Jones said. "Kirill will prove to be a fine acquisition. He will give us physicality, experience and quality. "Tyson Keats is another experienced campaigner. We have lost out scrum-halves from last season and we think Tyson will bring us something different."